Frank Boucher’s heart was in the right place, even if his math was bad: in December of 1930, his New York Rangers linemates, Bill Cook (above, right) was 35, while his younger brother Bun (left) was 27. It is true that the Rangers hadn’t started the season as well as they might have, winning just three of their first eight games. But to lay the blame on captain Bill — well, as Boucher told Harold C. Burr, the time to count out old Bill wasn’t now. 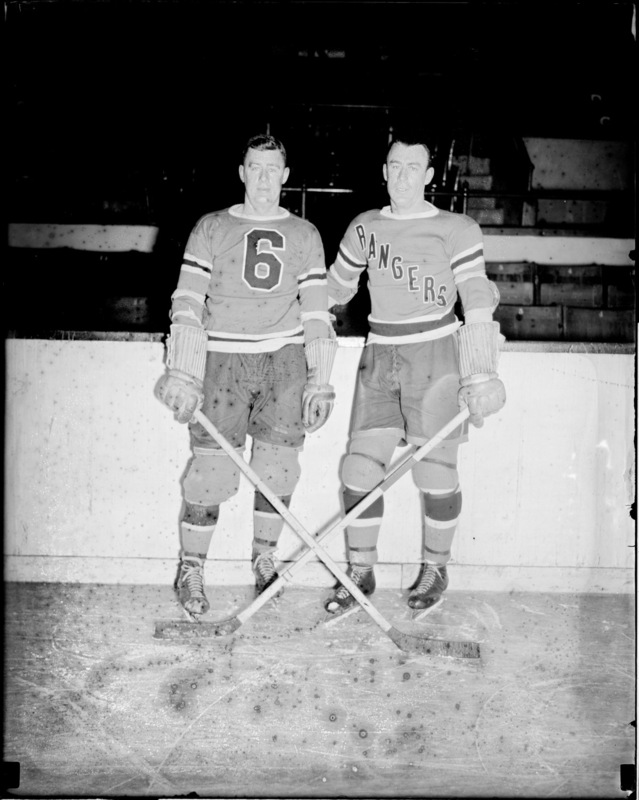 The headline on Burr’s Brooklyn Daily Eagle column: “Frank Boucher Just Laughs at the Idea Bill Cook’s Through.” True enough: by season’s end, he was the Rangers’ leading scorer. He was to play a further seven seasons in the NHL, topping the league in scoring in 1932-33. That was the year, too, that he put a puck past Lorne Chabot of the Toronto Maple Leafs in overtime to win the Rangers the Stanley Cup.